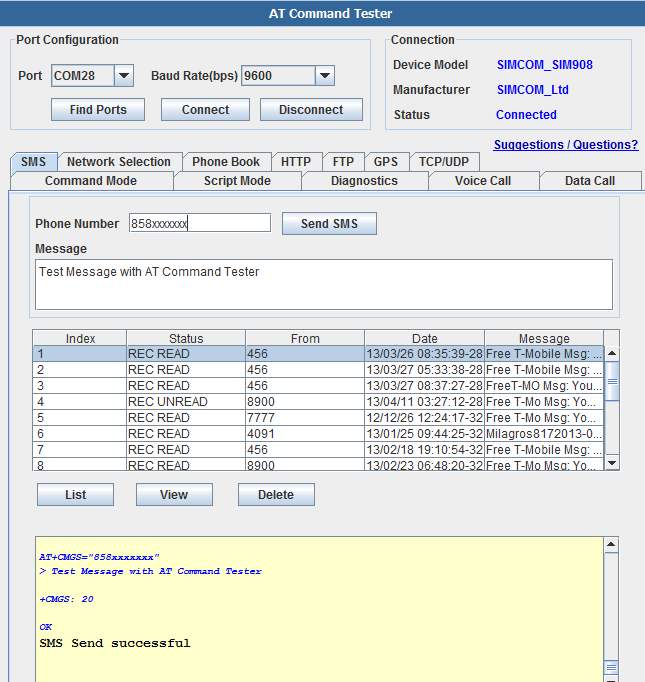 AT+CMGS At command is used to send SMS message. The messages can be sent in the text mode or PDU mode. Keywords AT+CMGS syntax, examples, parameters, error, input, response. With Online AT Command Tester tool,, you can view/list/delete SMS messages stored on the device. You can also send SMS message to a mobile device.